EJ95's are designed specifically for the Oud, requiring a lighter gauge for optimal resonance on these smaller, "bowl-shaped" bodies and unique "plectrum" picking styles. 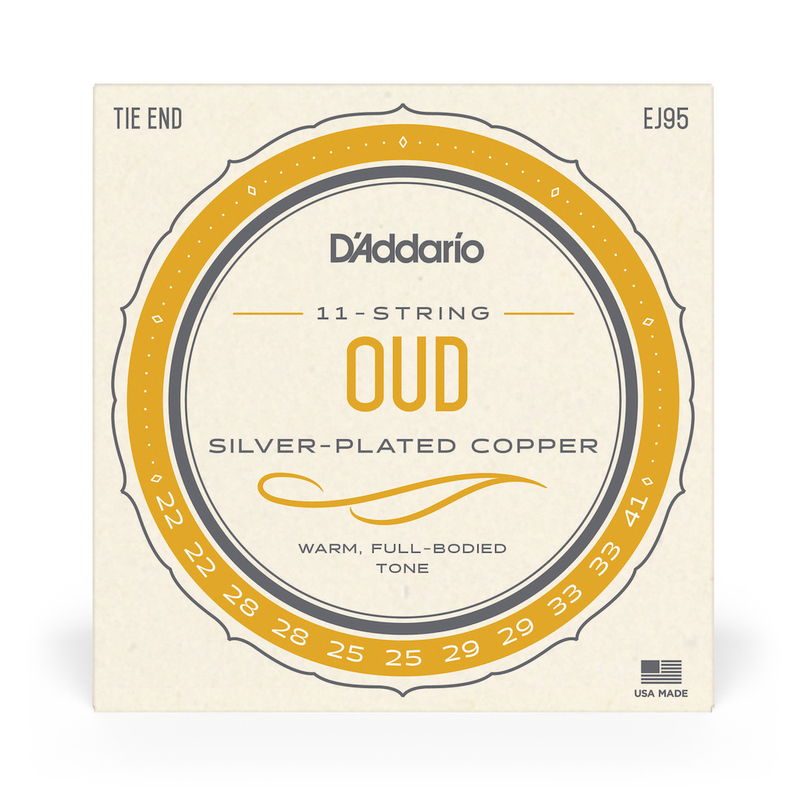 Great strings, great price! I prefer the lighter gauge over the two sets I sampled. D'Addario seems to be able to fill our orders within 5-7 days. I would estimate the turn around time for forty sets for you would be about two weeks. Hope this helps. Q: Which tuning course matching them D/D or F/F ? “Our EJ95 oud set is designed for the Turkish Oud (23in/585mm scale length), the tuning from the lowest pitch to highest is C#-D.